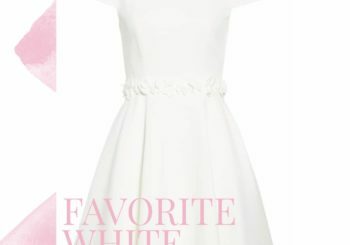 Now that spring is around the corner, I’ve started seeing more and more adorable white dresses hit my favorite stores. Which means one thing… the hunt for all of my bridal wear is on! From bruncheons to couples showers and of course the bachelorette party (which, y’all, I can’t wait to share more details on soon) I plan on wearing white through and through! So today, I thought it would be fun to start off the week with a few little white dresses I recently ordered and am loving. 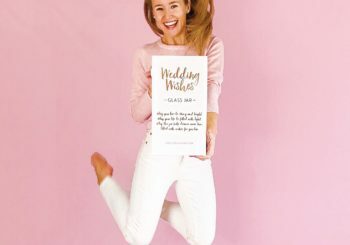 Perfect for brides, graduates, and Easter-attendees alike, I hope you find a few you love! I have been getting quite a few requests for white dresses that don’t look too summery. Friends, this cute frock is it! I’m obsessed with the long sleeved, lace detailing and the slim, flattering fit. So chic, and so perfect for this time of year. I’m wearing an XS, and found it fits true to size! Plus, it’s under $100. What’s not to love?! Shop it HERE. This adorable dress is practically perfect in every way… flattering fit, gorgeous, feminine details, and a price tag under $100! I think this would be a gorgeous option for a bridesmaids luncheon, shower or even engagement photos. For size reference, I’m in an XS. If you’re between sizes, go up! Shop it HERE. If timeless and traditional is your cup of tea, you’re going to love this dress! The lace overlay and darling collar make it so unique and fun. I ordered a size 0 (my usual size) and found the dress to be a bit snug and difficult to move up top. Also, prepare for the lace to be a bit itchy. Things to keep in mind if ordering! Shop it HERE. Now ladies, this is quite a statement-maker! It fits a bit too tight for my taste, but has some fabulously-fun frills that make for quite the dramatic back. 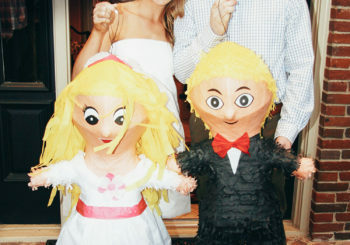 I’m thinking this would be perfect for a bachelorette! I’m wearing a size 0 and would recommend going up a size in this dress. Shop it HERE. This rainbow beauty is more of a splurge, but in my opinion… worth it! It’s also selling out everywhere, but I found it available in all sizes here. You have to check it out in my Instagram Stories today to see how it looks on… it’s too fun! I’m wearing an XS, and can tell you it fits true to size. Shop this dress HERE. I’m loving this white dress hunt, and promise to keep you up to date with all of my favorites! If you’re also looking for all-white-errething, let me know your favorite places to shop ’em and what price point you’re looking for! And don’t forget, I’ll be trying all of these dresses on in my Instagram Story today, so be sure to follow along! My entire life I’ve been taught so many things about certain fits or pieces or colours and white has been one colour I always stayed away from because all I’ve ever heard was that it stains easily and it’s always see-through and bla bla bla but now I’m an adult and I want to wear the things I like including white. I might regret it, yes, but it’s a responsibility I’m willing to have haha Thanks for the suggestions, the rainbow one is definitely my favourite. All of these look amazing on you! The second is my favorite! Always love your style! My vote goes to no.1 and no.3, but they are all adorable. These are so pretty! I actually don’t own a white dress but that must change for spring. All so gorgeous! Can’t wait to see what events you wear all of these for! So many gorgeous dresses! How can I possibly pick a favorite?! I think I’m leaning towards dress no. 3. Lace and peter pan collar always get me! I just ordered the fabulous frills dress to potentially wear to my college grad party. Thanks for sharing! Amazing white just outstanding Seriously…Thanks for the Blog..!